This weeks episode of The Walking Dead sets the scene for the final confrontation with Negan, a character whose introduction fans dreaded because of whom he kills in the comics. Looking beyond Negan is the confrontation with The Whisperer’s, something for season 7 I guess. Sadly, I am starting to feel fatigued by the series. This week’s episode may have again pivoted the series, now towards the Hilltop settlement and its leader Gregory, but its starting to feel as if there will be no end to the show. I suppose that’s the problem with productions based on a comic book. Comic series can last for decades. Nontheless, with some concentration you can look at The Walking Dead with a narrow focus on the here and now. If you do that than in my opinion the show still has some surprises. So what happened in this week’s episode, Knots Untie? Without anticipating the future too much I think Knots Untie was a fantastic episode. There is something for everybody. Jesus is wonderful character, bringing sanguine just when the show needs it. 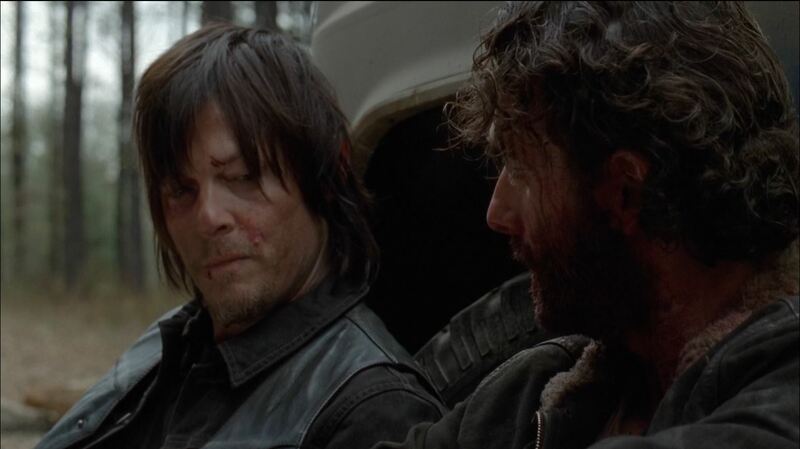 Persuading Rick that he should visit Hilltop wasn’t easy and the journey there wasn’t without complications. 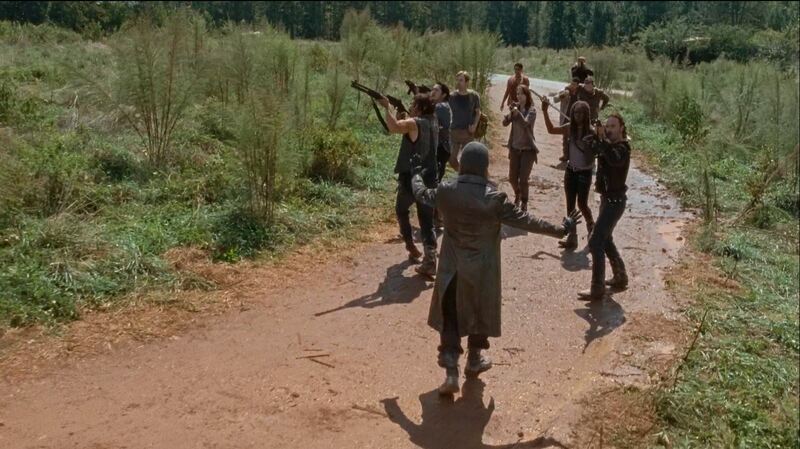 Meanwhile Carl deals with his father’s dalliance with Michonne. 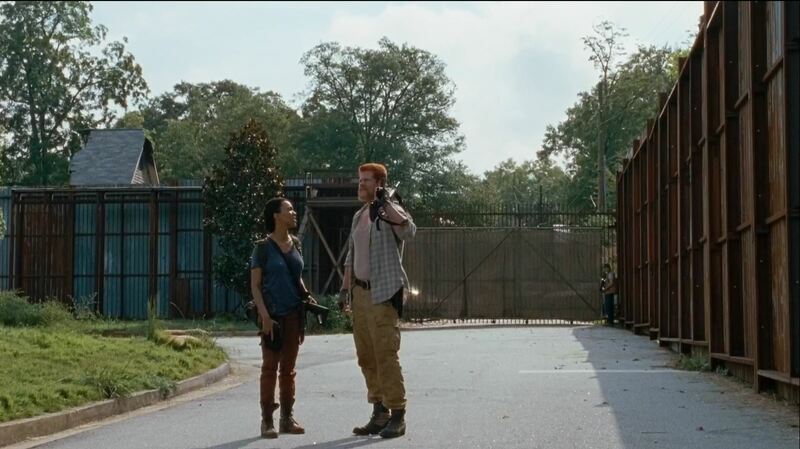 Rick and Michonne make a fine couple, but things are hardly intense. Abraham is still the mess he has always been as he deals with feelings for both Rosita and Sasha, but then he is also a rock. Only when the story arrives at Hilltop does it start to repeat past themes. Rick and Maggie deal with the leader, in this case Gregory, while the rest eye the occupants with distrust. Before long some of Gregory’s men return from a failed meeting with Negan. 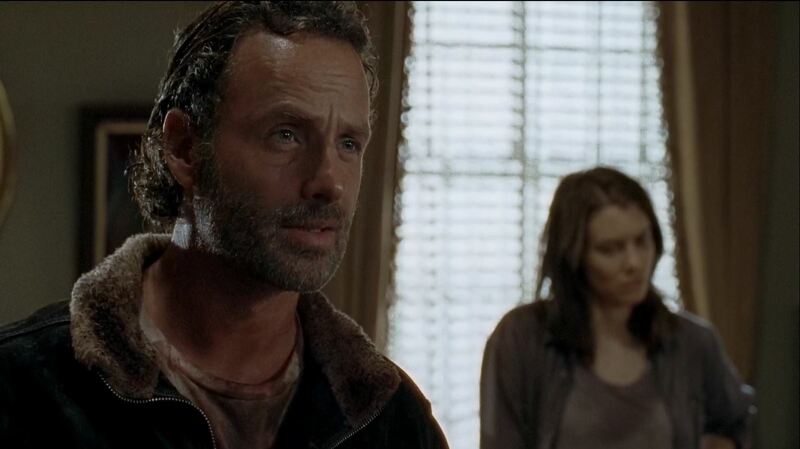 Yet, Rick focuses down Gregory with Maggie’s help. Rick knows what a guy like Gregory is, even after Jesus warns him. 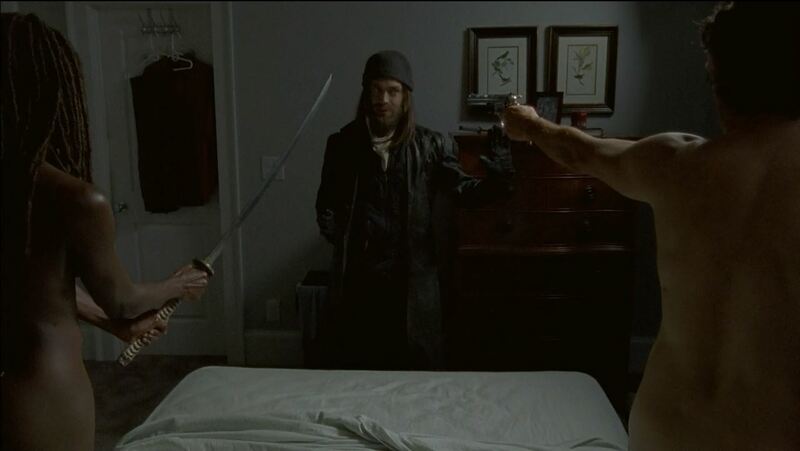 Rick knows what to do about Negan, but he can’t handle two opponents at the same time and chooses to for Negan instead. The Walking Dead is starting to remind me of Edge Of Tomorrow. Practically every possible gory death scene has already happened. Those that are going to happen, because of the comic series, are overly gratuitous. TWD lacks a character endgame. You may question how that can be as neither the show nor the comic series has ended. I am quite sure the comic book ends only when the writers have pursued every avenue to keep the series going. And that includes killing off Michonne, Carl and Rick. I enjoy watching The Walking Dead on TV because of the entertainment value offered by the post-apocalyptic world, the zombies, the story-driven characters and the character-driven stories. Yet, without a question, I feel fatigued by the series. This was The Walking Dead S6Ep11 Knots Untie – a short opinion.